The automotive industry has already risen to the point where everything is available as long as you have the money. However, there are still a lot of small shop out there which need a lot of equipment and machines to do their business. Vehicle repair shop is definitely one that needs a lot of money. One item which needs to be there is the diagnostic and analysis system machine. This machine is a very versatile tool which will give you lot of benefits for having this. However, when the quality is top, the price is also a high one. Many repair shop can’t afford such machine. This is why Autel Maxidas DS 708 offers you with a new invention of diagnostic and analysis system which has great overall quality and also an affordable price. So without further halt, let’s proceed to the explanation. Autel Maxidas DS 708 is equipped with many features which can be used in many ways. It has a very extensive vehicle coverage for more than 50 Domestic, Asian, and European vehicles. Autel Maxidas also has many advanced programs in it; it has the capability to use programs including live data, ECU programming, and other technology programs. Other features are the immobilizers, key coding component and activation setting, sensor program, ECU adapter, and coding set up. These features are many. However, most of them are just a completion or addition to the main program. You probably think that which kind of customers that fit to buy Autel Maxidas DS 708. We’d say that in term of price this product is very affordable which is why small shop or even a personal garage can afford to buy this. Autel Maxidas DS 708 will be a good opening component for your shop with its straightforward ability and function. The performance itself is pretty good and neat. It has the touch screen features which make it easier to use it between your activities; you won’t need to see the small and minimal buttons anymore because of this. The other thing is that the screen is large enough for you to adjust the program that you want. The program is performing really well which you can choose for up to 50 vehicle coverage. The downside is that the touch screen usually becomes quite an issue because of its program. The other downside is probably the menu and program which are not simplified enough which is why you probably need to take your time to get used to the menu. 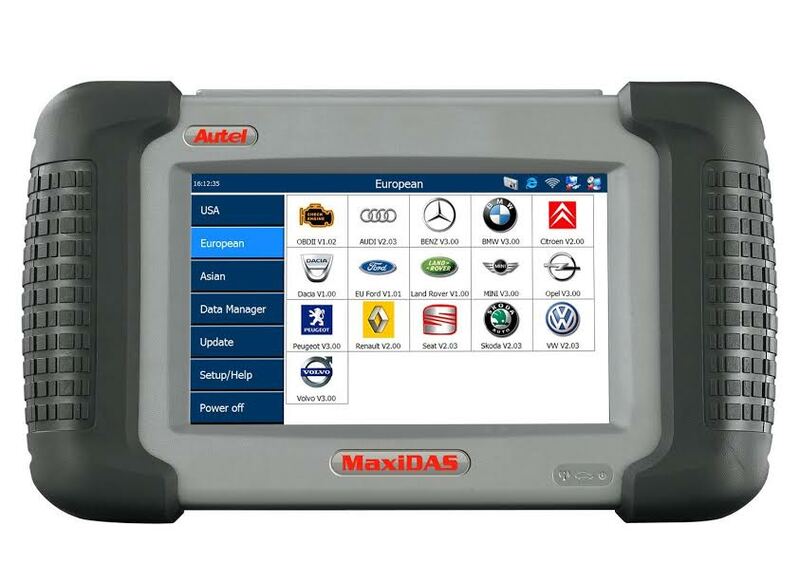 Autel Maxidas DS 708 is a pretty solid product for who can’t afford a big scale diagnostic and analysis system machine. This product is more than enough for you to start your workshop, it is because of its price is very affordable. Other than the newly-started workshop, this machine can also be bought for the personal usage as it has many good features and nice performance. Check the best price for Autel Maxidas DS708 here!